We are in the business of getting you recognized by creating the best design we can. We treat every job here as if it were our own. We believe the growth of our company is directly based off customer satisfaction. For that reason, our advertising is almost exclusively – your word of mouth. It is our priority to establish a personal relationship with each customer. "Just a note of sincere thanks and appreciation for the wrap you guys did on our new Keiper Plumbing Co. utility truck. Your design and installation is really well done, and we are extremely proud of the way it represents our business, and of the job your team did for us. We appreciate your strong customer service and the pride put into your work. The job exceeded our expectations, and for me that is really hard to do! Thank you! We certainly look forward to the opportunity to do business with your Company in the future. Best wishes for a healthy and prosperous New Year." - Brendon J.E. Carroll	President, Keiper Plumbing and Heating Company, Inc.
"Scribbles & Drips Rocks! When I first met with Billy, I asked him, “What Are My limitations?” he replied, "Your Imagination”. I knew I had arrived home when I heard that answer. I love folks who are Creative, Resourceful, Generative, Passionate, and Playful. Scribbles & Drips doesn’t just talk the talk, they walk the walk. If you really want to see what these guys are capable of, ask to see the stuff they have done for me. Big trucks, small trucks, vintage, and exotic high performance sports cars, signs, banners, and Super Gasman! They also do t-shirts! If you want to see their work up close and personal feel free to contact me and I will share with you what they’ve created for me. These guys are the real deal and are a valued resource for myself and my company." - Bruce Groner	Owner, Wilson Products Co.
"I’ve been using Scribbles & Drips for years. They’re a first class and highly dependable company in many ways, particularly their customer service and unique concepts. When they say your equipment will be done, it's on time, and it's done right. The friendly staff always has great ideas on graphics and how to implement them on our equipment. I continue to recommend them to everyone." - Rick Symons	Service Manager, ToyotaLift Northeast LLC. "Let me start by saying Scribbles & Drips have far exceeded my expectations on numerous jobs. When it comes to quality there is no match! I have been around cars my entire life and professionally working with cars for over a decade. I have seen trends come and go and shops open and close. I will only take my vehicles to companies who I feel are just as passionate about the work they do as I am. The attention to detail that the crew portrays is second to none. Their slogan "Quality Is Everything" is an understatement. I am truly fortunate to be able to work on so many projects with this awesome group of people. Here's to great success in 2018 and beyond! I can't wait for the next project!" "Image is very important to us. I’ve been using Scribbles & Drips for years. I had tried others, but no one compares. The attention to detail and the methods they use ensure a long lasting wrap that continues to look as good as it did the day it was installed!" "We are a manufacturing company that puts quality and integrity above all else. That’s why we’re so happy we partnered with Scribbles & Drips to wrap our shipping truck – because they get it. 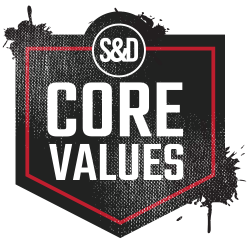 Quality and elegance was our number 1 priority, and the Scribbles & Drips Team helped us achieve that goal without a single misstep along the way. Other Sign shops we’ve worked with lacked in the customer service to turn our idea into a reality. Never once did we feel that they didn’t appreciate our business. The phone was answered every time we called, Accommodations we’re made to cater to our schedule, and communication was frequent throughout the process. We felt like the only customer from start to finish because everything was custom tailored to our needs. Thanks again! Our truck was done on-time, on-budget, and above expectations." 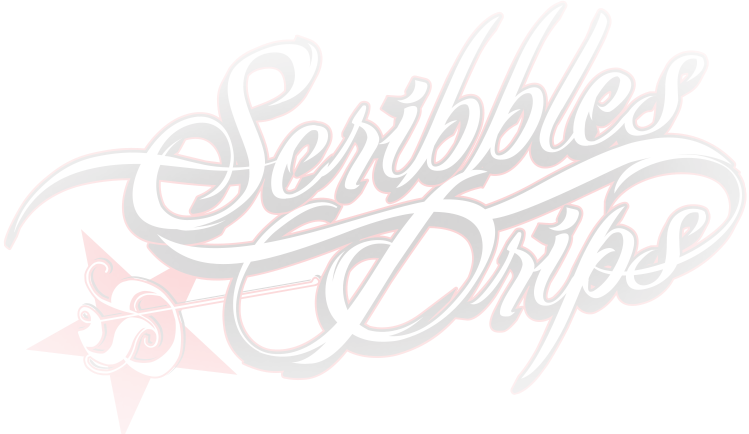 "Scribbles & Drips have been our graphic artists for approximately 7 years now. We’ve never been anything but pleased with their work and how they go above and beyond to make us happy. We're extremely opinionated and picky, yet they always listen to our ideas while working their magic to make something unique. We have gotten many compliments on the work they’ve done on our equipment and the question is always the same, "Who does your graphics?”. Their greatest asset is that they truly appreciate the customers for every bit of business, whether large or small." "I used several other truck lettering companies in the past. When they were done with their work the trucks always looked decent. However, when I had Scribbles & Drips do a few trucks, people started to really notice and that’s what is truly important in today’s competitive world. To me, it’s obvious that the talented crew at Scribbles & Drips possess both a creative mind and a talented eye. When they’re finished with your vehicle, your logo and the impression of your company will pop and jump out at you. Then you'll feel as proud as I do when people tell me how awesome my company vehicles look!" "I highly recommend Scribbles & Drips to anyone who is looking for perfection when it comes to their vehicle lettering or graphics. They are an extremely detail oriented crew who strive for every one of their customer’s satisfaction. Working out of an immaculate shop, they have unlimited creativity when designing projects. The staff flawlessly executes the installations as they create each vision. Thank you for your great work. Because of your talent, my fleet continues to turn heads and make a positive statement for my company year after year. Every new truck is a rolling masterpiece that helps me to advertise my business. I am proud to show off their work and help promote their business every day."